Uh oh! This businessman is in danger again. The mafia wants to eliminate him, and you must defend him, drawing defensive structures and prevent the gangsters from implementing their cunning plan like this. As you know, being rich always brings new problems to one's life. This businessman is not an exception. He had been pursued by villains during his whole life. Looks like he is in their hands this time, thus in this arcade game you must do everything that depends on you to protect the man. 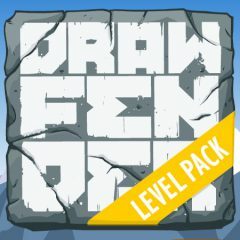 Draw fortifications of different shapes and try to prevent the villains from eliminating him. You have only one attempt in each level of this amazing puzzle game, and if it will be unsuccessful, the businessman will be dead and you will have to restart the level. Good luck to you and to the rich man!